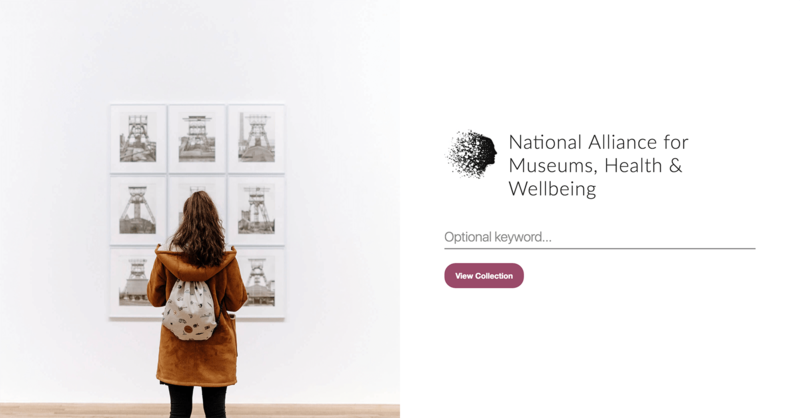 The National Alliance for Museums, Health & Wellbeing is an Arts Council-funded project led by UCL Public and Cultural Engagement. 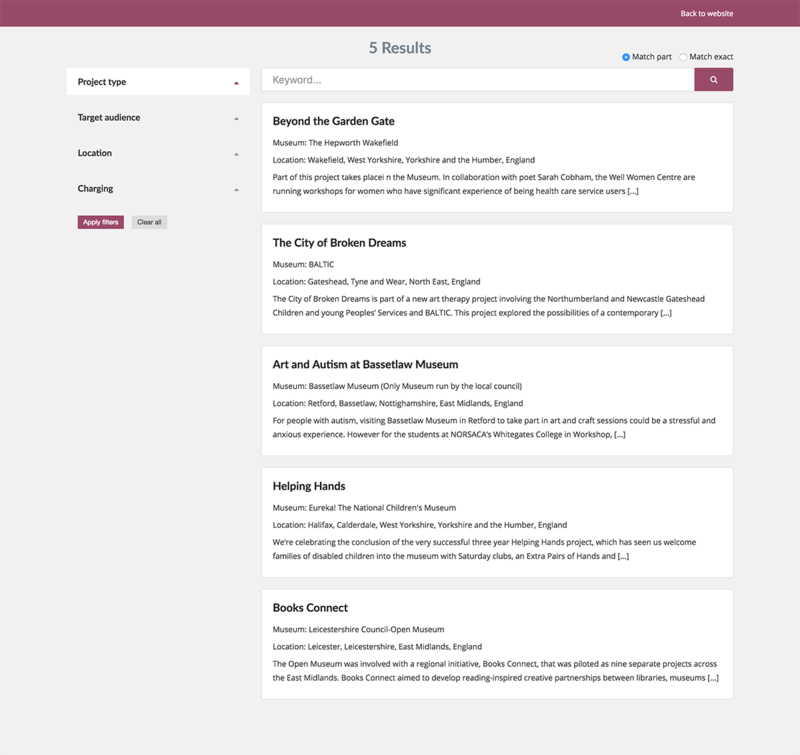 They had a large data set of museums running health and wellbeing activities, and wanted us to develop a new search tool through which their network members could easily access this information. The search tool was given a modern and minimal look whilst providing a number of expandable result filters. The user experience was made to feel snappy by using AJAX throughout the page.